Mr. Burhan Ali has over 15 years of experience in the industrial sector where he managed capital projects, construction contracts and supply chain functions. Prior to joining Arif Habib Dolmen REIT Management Limited he was Advisor to the CEO of Aisha Steel Mills Limited and a part of Arif Habib Group’s Private Equity arm, Pakistan Private Equity Management Limited, where he also monitored the construction progress of the Dolmen City project. 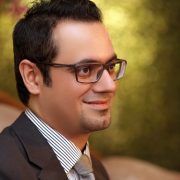 Mr. Adnan Rizvi is a Fellow Member of the Association of Chartered Certified Accountants (FCCA) and holds an MBA in Banking & Financial Services from the Institute of Business Administration (IBA, Karachi). He has over 10 years of diversified experience in the financial services industry and had worked with the Equity Research division of MCB Arif Habib Savings (formerly Arif Habib Investments Management Limited) and Securities Markets Division of SECP. 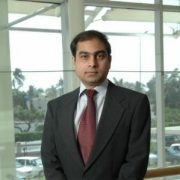 Prior to joining Arif Habib Dolmen REIT Management Limited, he was part of Faysal Bank Limited in its Investment Banking Group. His experience encompasses transaction structuring, project monitoring, financial modeling, due diligence and corporate relationship management. Mr. Faraz Arif has a Masters in Management from University of Hertfordshire de Havilland Business School and holds a Bachelor’s in Business Studies and Marketing from Middlesex University. 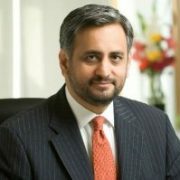 Equipped with a strong research background of over 10 years in the real estate sector in the United Kingdom and Pakistan, his experience includes being Manager Marketing at HBL Asset Management, Head of Research at Colliers International and Manager Transaction Advisory Services at Ernst & Young, prior to joining Arif Habib Dolmen REIT Management Limited. He has also served for 5 years at the United Kingdom’s largest property renovation products and services provider, Block and Quail PLC (Kingfisher Group) as Lead Design Consultant specializing in residential refurbishment services. His experience includes real estate research, urban space review, strategy development and marketing. Mr. Zohaib Yaqoob is an associate member of Institute of Chartered Accountants of Pakistan and a member of ACCA–UK with a record of outstanding academic and professional performance. 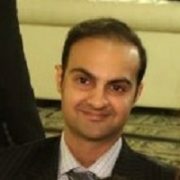 Mr. Zohaib has completed his training from PricewaterhouseCoopers (PwC) and has 5 years of experience and specialization in financial services, Banking and Capital Markets and Insurance Industry, both locally and internationally. He has also worked in the Middle East Region for over 5 years in finance for Halliburton World Wide Limited and Gemalto Middle East LLC. Mr. Azfar has substantial financial reporting experience and has been associated with the company since inception. 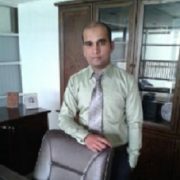 He has over 12 years of work experience in the field of finance and audit. His role encompasses a wide range of matters such as financial reporting, taxation, managing statutory audit and rating process. He is a member of Pakistan Institute of Public Finance Accountants (PIPFA) and holds a graduation degree in Commerce from University of Karachi. He is currently pursuing Cost and Management Accountancy at the Institute of Cost & Management Accountants of Pakistan (ICMAP). Mr. Toufique has over 10 years of work experience in the field of finance and audit and has been associated with the company since inception. His role encompasses a wide range of matters ranging from finance, payroll management and audit. 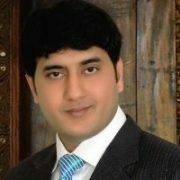 He is an integral resource for managing Dolmen City REIT’s bookkeeping at the RMC. 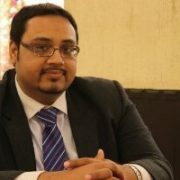 He is currently pursuing Cost and Management Accountancy at the Institute of Cost & Management Accountants of Pakistan (ICMAP) and holds a graduation degree in Commerce from University of Karachi. 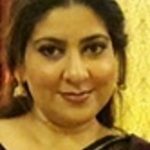 Ms. Afshan is an energetic and well-organized professional having 7+ years of experience in administrative support services and has been associated with the company since inception. She is brilliantly capable of performing detail oriented work. She has demonstrated ability in office secretarial matters including collecting and compiling assessment data required for accreditation purposes. She has proven ability to correspond, keep schedules, and maintain records related to HR. Her areas of expertise include having complete command over MS Office applications.